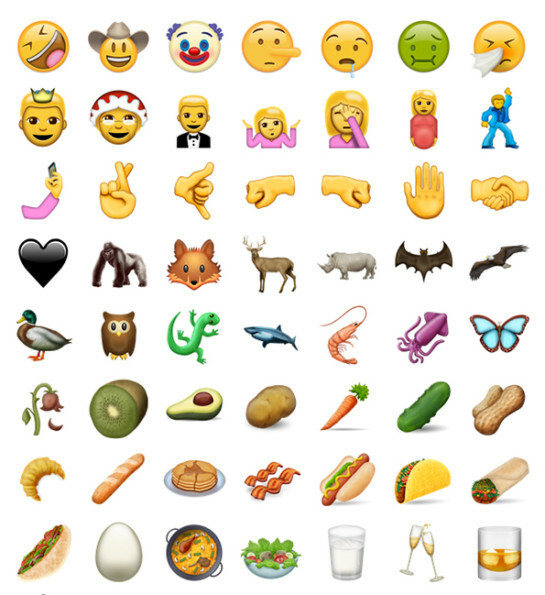 The Unicode Consortium is releasing a 72 new emojis this month! The Unicode 9.0 update will include smileys and people, like: rolling on the floor laughing, clown face, lying face, face palm, pregnant woman, and selfie. Animals and nature additions include: fox, owl, shark, squid, and butterfly. Food and drink will get: avocado, carrot, bacon, and what appears to be a tumbler of whiskey, to name a few. And there’s more. So many more. Too many to count. Just kidding, there are 72 in total, you guys. I know math.